We love being social. 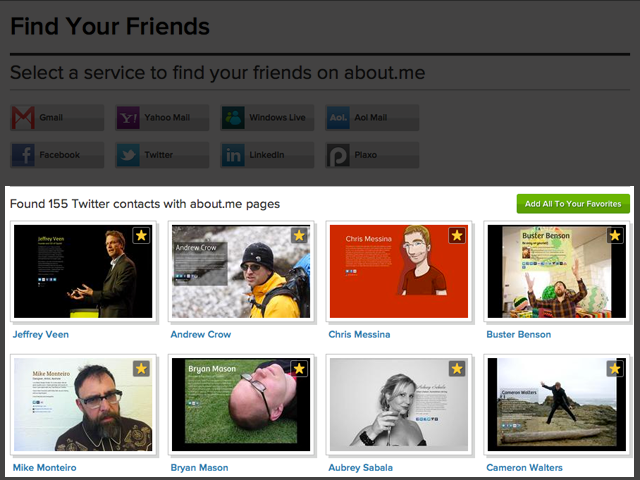 That’s why we’re pleased to present our newest feature on about.me: Find Your Friends. When you log into your account, you’ll notice a new addition to your dashboard. Connect with different services to find out who you know has an about.me account. 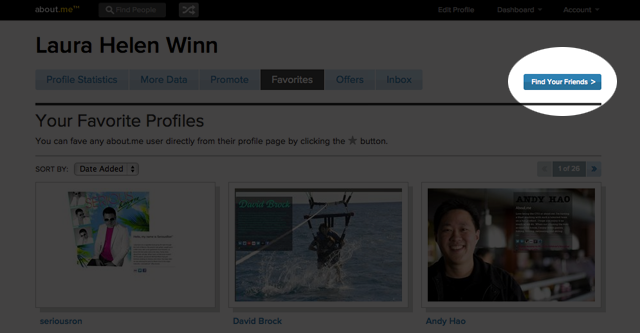 Add favorites to your directory so you can easily keep up with your friends’ updates as quickly as they happen. It’s that simple! Get started now, and connect with people you know for a rich, social experience with the about.me community. UX & UI designer. Making things fun and easy to use at about.me. Good at the Internet. Living on a mountain. Completing a BFA in graphic design in Chattanooga, TN. Serious addiction to bike rides and word games.